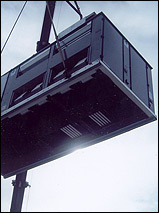 Paramount Air Conditioning & Heating Products You Can Rely On! At W.R. Smith, Inc., we spend each day ensuring that our Paramount area customers are completely happy with the heating, air conditioning and indoor air quality products / services we provide. Our dedication to customer service affects every part of our business. If you want a Paramount HVAC contractor who really pays attention to your unique requirements, and a contractor who has the experience needed to offer you the perfect indoor comfort solution, then you've come to the right place! When the summer months heat up you need a reliable and efficient air conditioner keeping you cool. 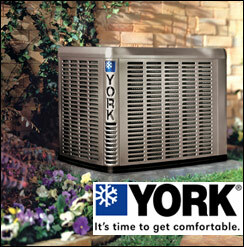 We install York® air conditioners and heat pumps that use modern R-410A refrigerant and have high SEER ratings for more efficient cooling and lower monthly utility bills. Additionally, the York® Affinity series is one of the quietest air conditioners you will find due to York QuietDrive technology. When our nights turn cold it is not the time to have your furnace acting up! W.R. Smith, Inc. is here to ensure you stay warm during the winter months. Our technicians are able to service and repair any brand of furnace, and if you are looking for a new system, we offer York furnaces which boast some of the highest efficiency ratings in the industry! Additionally, York® ClimaTraK furnace technology keeps you completely comfortable in any climate. Your air conditioner will not look out for you and give a heads up warning that it needs servicing before the summer heat arrives. Most likely it will wait until the hottest month of our Paramount summer. Remember that your indoor comfort system is just like a car - neglect will lead to decreased performance, reliability and even shortened system life. Our scheduled maintenance program will keep your system running like it was designed to, saving you on monthly utility bills and keeping you comfortable all year long! Contact Us for more information. If you have any indoor comfort control questions, please do not hesitate to call us at (562) 408-6400 . Thank you for your interest in W.R. Smith, Inc., a Paramount HVAC contractor dedicated to your indoor comfort!